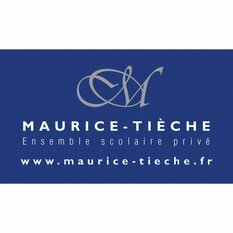 From pre-school right through to the end of high school, the Maurice-Tièche Academy has the reputation for transmitting to children and young people alike high educational values and morals. Here, the training of the character is a priority: the child and the teenager are learning to control themselves, to take responsibility, to make the right choice by developing a decisive spirit. The teachers offer a quality education in classes with reduced numbers which allows for better teacher-student ratios. It is not uncommon to hear of the "old" students say that their transition to Maurice-Tièche was a high point of their lives and has helped orientate them towards personal and professional success. This is a Christian private school approved by the French Ministry of National Education and the French Protestant Federation.